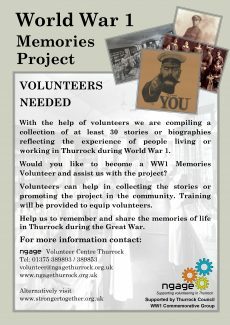 Help to remember and share the memories of life in Thurrock during WW1. 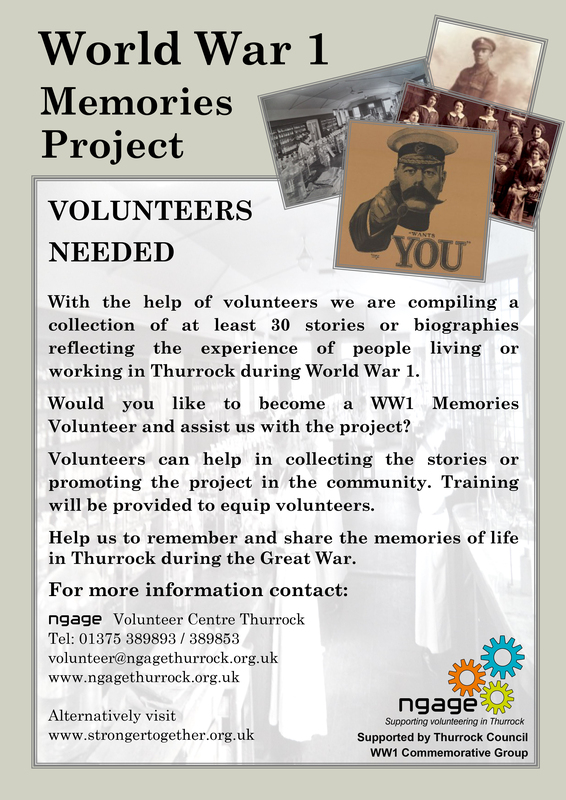 Telephone 01375 389893 if you would like to speak to someone about a story or memory, or to volunteer with the project. 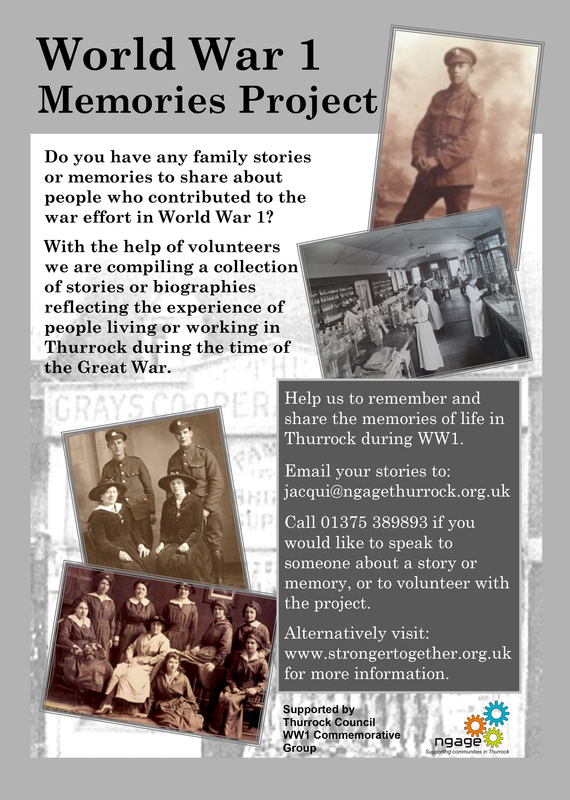 Alternatively visit: www.strongertogether.org.uk for more information.